Friedman School Masters of Science Candidate Hattie Brown has been selected to be a member of the Next Generation Delegation to the 2019 Global Food Security Symposium. Convened annually, the Global Food Security Symposium addresses progress on global food security made by the US government and international community, and ensures that new challenges are met with action and innovation. Since 2013, the Next Generation Delegation program has provided an opportunity for promising students to engage in Symposium discussions and to interact with business and policy leaders, civil society and social entrepreneurs working on agriculture, food and nutrition issues. 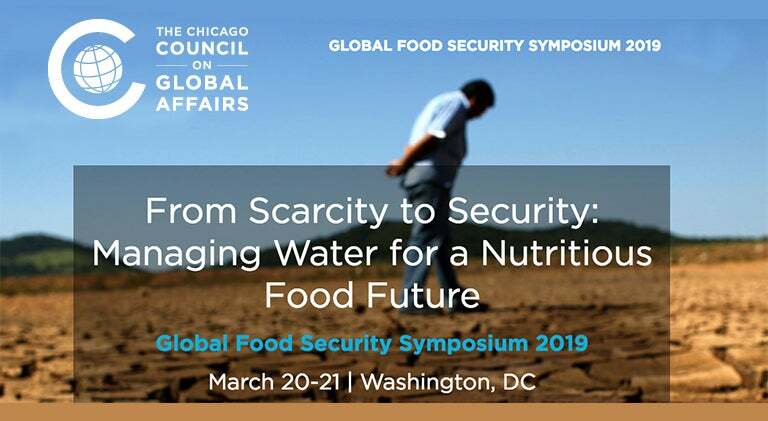 The 2019 Symposium will offer key insights on how to address water security to ensure food and nutrition security worldwide. This unique window of opportunity is a chance to help shape the next generation of leadership on global food security. As a Delegate, Brown will be attending all symposium-related events in Washington, DC, on March 20-21, 2019 as well as preparing a commentary piece for the Global Food for Thought blog on her research aims and other themes that arise during the course of the Symposium. This past August, Hattie Brown was selected by the Kirchner Foundation as a 2018-2019 Kirchner Food Fellow. The Kirchner Fellowship has a mandate to focus on agricultural businesses committed to soil health and water conservation practices. Brown is currently working as part of a three person team to manage a portfolio with funds to invest in companies and organizations focused on new agricultural technologies and social enterprise in the interest of global food security.